The manufacturer has included removable covers which ensure protection of the buttons and LCD. 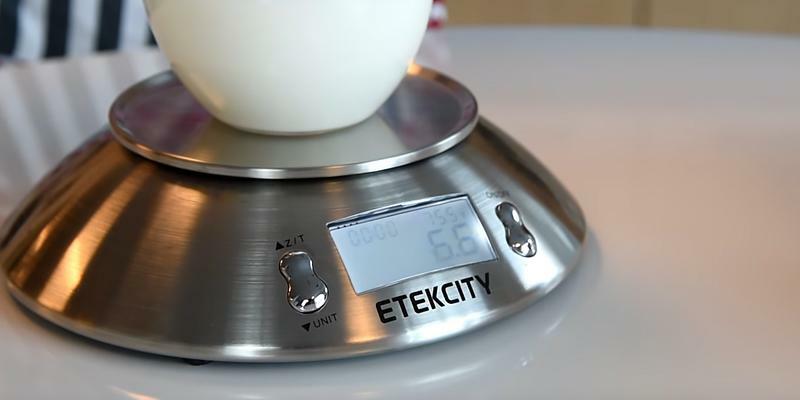 These energy-efficient digital kitchen scales switch off automatically, which extends battery life. An AC adapter is not included. However, the batteries last for a long time. 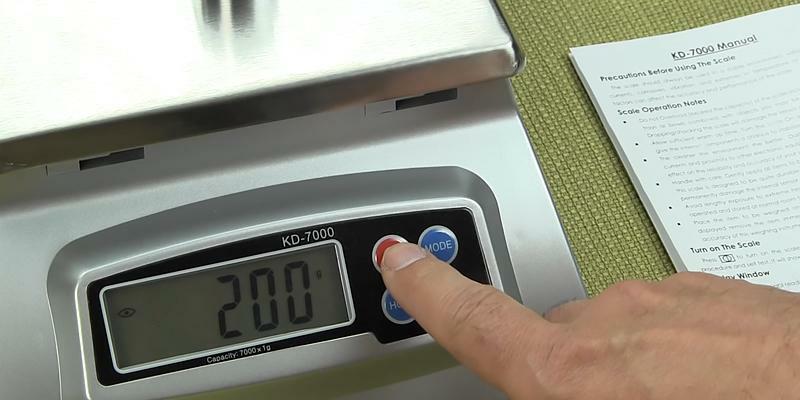 The My Weigh KD-7000 is a wonderful set of kitchen food scales! 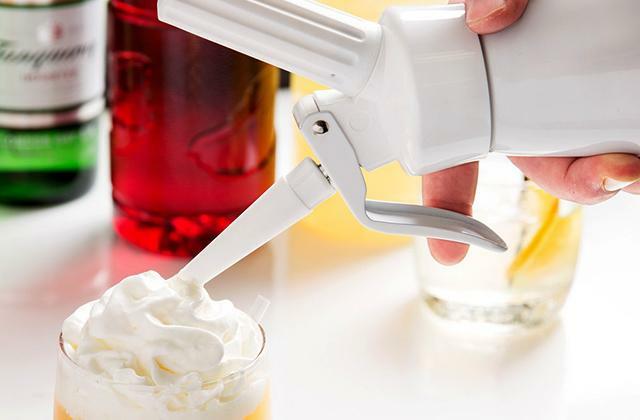 It is perfect for cooking sophisticated dishes using messy recipes. It is also good for making soap and candles. The Duronic KS5000 digital kitchen scale has a super comfortable tare function to allow precise measuring of multiple ingredients at a time. Automatic shut off is rather quick. Yet, this also saves battery power. This functional digital kitchen scale modification has an excellent weighing range, suitable for measuring both dry food and liquids. It is a wonderful choice for those who appreciate homemade pastry! 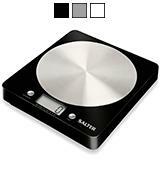 The Aquatronic function of this Salter Disc electronic food scales allows measuring liquids in ml or fl oz. You can choose either metric or imperial weighing system on this wonderful set of kitchen scales. When flipped at an angle, the numbers aren't as clear on a display. 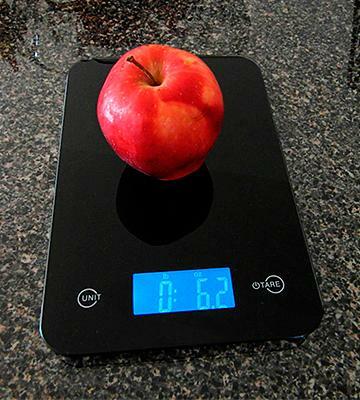 Cook fine cuisine at home with the Salter digital scale! 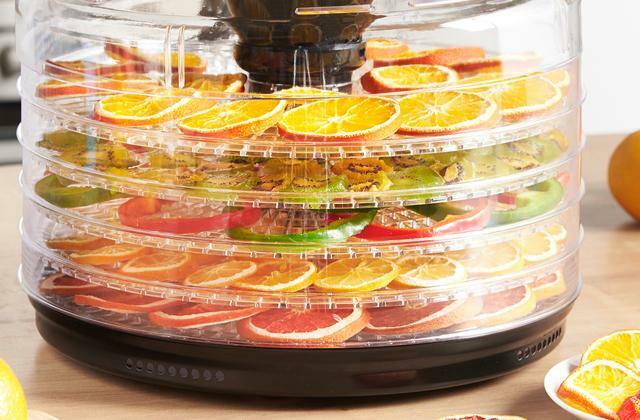 It will weigh each component of your multi-ingredient dish. In addition, this portable digital food scale is easy to use and to store. There are three available housing colours: silver, white, and black. What is notable about this kitchen scale design is a durable tempered glass housing. The Ozeri food scale has 4 high precision GFX sensors that provide excellent accuracy of all measurements. Sensitive buttons may not respond if you touch them with wet hands. Classy design, instant response time and high accuracy are the key features that make the Ozeri Touch ZK13 a popular choice of both fast-paced chefs and regular users. A built-in temperature sensor will be a useful feature for people who often cook heat-sensitive ingredients and prepare yeast dough. 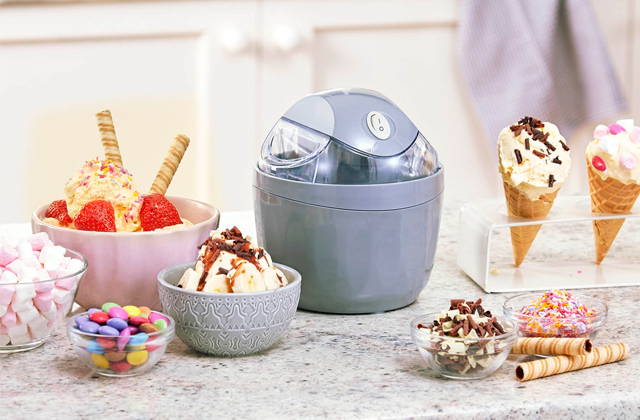 A capacious removable bowl (2.15 litres) for mixing ingredients and measuring liquids is included. It requires a lot of storage space. Both professional cooks and amateurs will find these functional scales an excellent assistant in the kitchen. They suit many other purposes too, and can be used by kids to prepare various school research projects. The maximum weighing range of this electronic food scale is 15.4 lbs (a record-breaking index in our kitchen scale review). 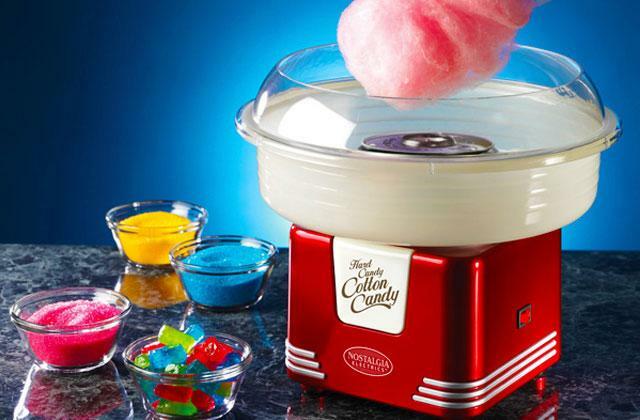 Therefore, the appliance is perfect for weighing even heavy foodstuffs. On the other hand, the resolution of 0.05 oz makes it a perfect choice for measuring lightweight ingredients. My Weigh KD-7000 is an awesome digital food scale for preparing complicated dishes, making candles and soap! 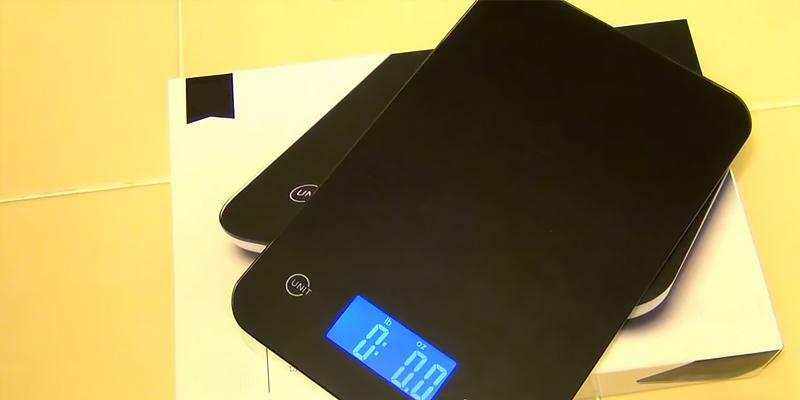 This electronic food scale can operate on two different power sources. The first one includes three AA batteries that come with the appliance. 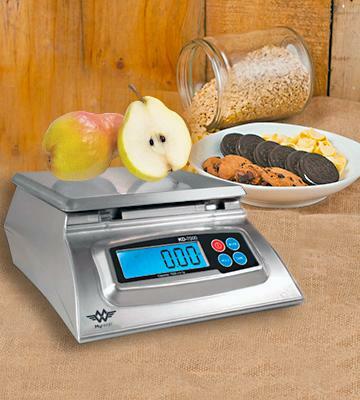 Using them, you can put the My Weigh KD-7000 food scale in any place of your kitchen. As for the second, there is a mains socket for an AC adapter that you can purchase additionally. 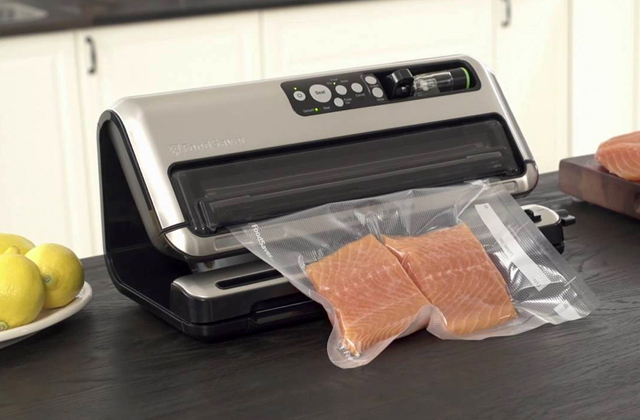 However, the cord might limit the area where you can place your food weighing scale. An auto-off feature ensures a long battery life. 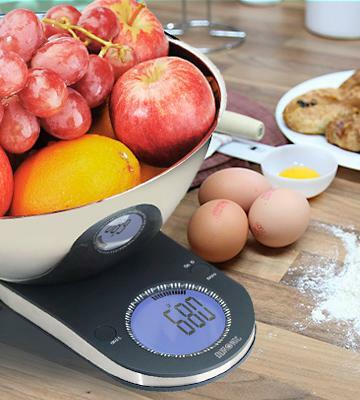 This marvellous kitchen food scale is both lightweight and durable owing to a reinforced ABS plastic housing. Its removable stainless steel platform is easy to clean. A large blue-lit LCD display ensures clear viewing of the measurements. A removable clear LCD cover protects the display and buttons from any stuff that may be spilt​ while cooking. There are 4 control buttons on this kitchen scale’s front panel. You can choose one of the 5 available weighing modes. 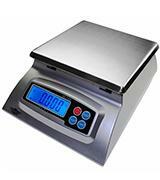 The Duronic KS5000 is a high-precision model of electronic food scales. You will be able to measure all your ingredients while cooking sophisticated dishes that require adding a particular amount of ingredients. The maximum weight for this digital food scale is 11 lbs, and its 0.1-oz margin makes it possible to measure even the most lightweight food items. 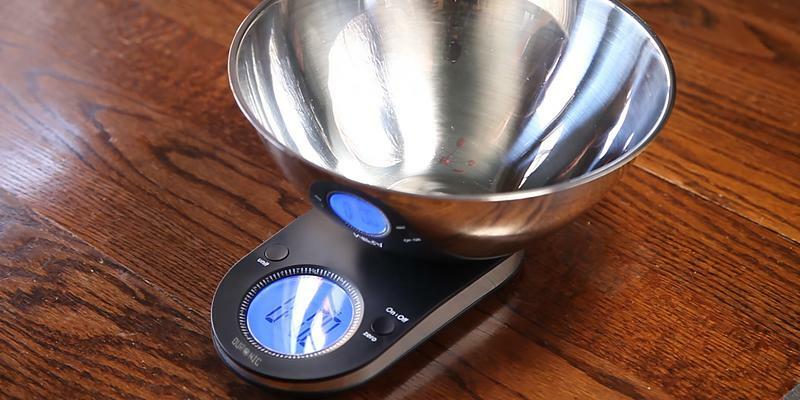 All these useful features make this cooking scale a wonderful choice for your kitchen. As for the power source, this kitchen food scale requires 3x AAA batteries which come with the purchase. Besides, they are easy to replace with new ones (or you can use rechargeable batteries). A low battery indicator will let you know when it is time to get another set of three batteries. Moreover, this Duronic kitchen scale has an overload indicator that goes on if the foodstuff you are going to measure weighs over 11 lbs. 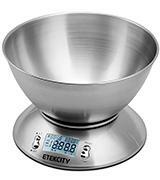 For measuring the desired foodstuff, you can use an ergonomic 24.5-cm diameter mixing bowl (it is included). Or, you can use some additional kitchenware for weighing bulky foodstuff. This electronic food scale has 4 high-precision sensors providing the most accurate measurements. 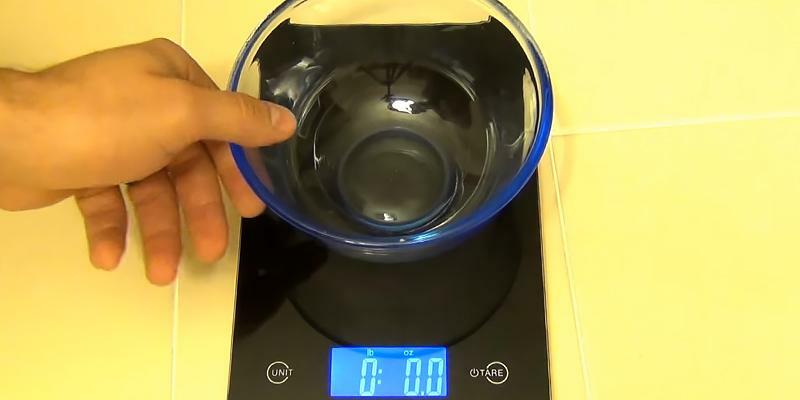 You can both weigh dry goods and check the volume of liquid. All you have to do is choose the appropriate measuring scale. 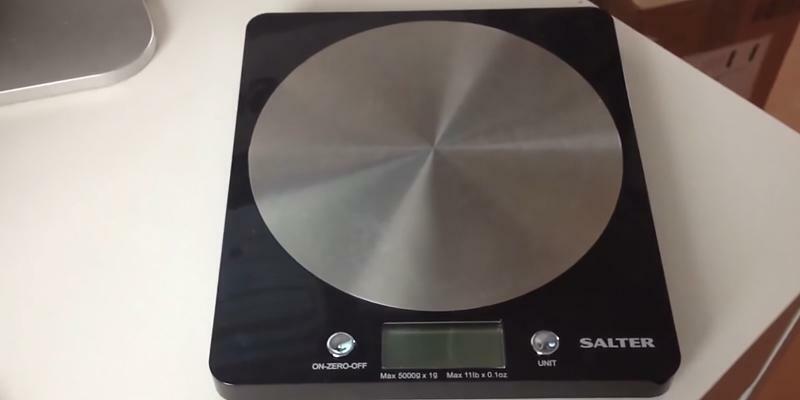 A neat square design of this electronic kitchen scale is completed with a stylish round platform for weighing foodstuffs. 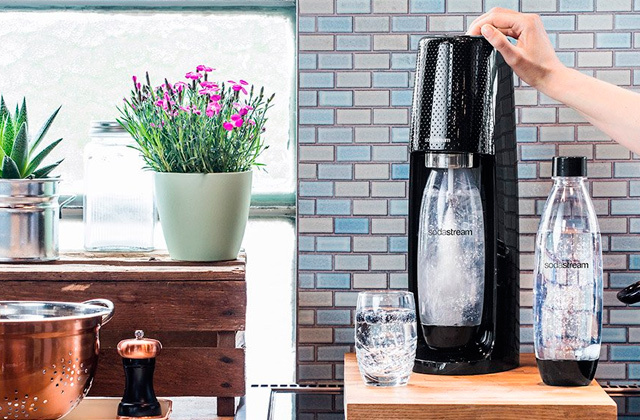 You can measure a variety of necessary ingredients weighing up to 11 lbs in total. 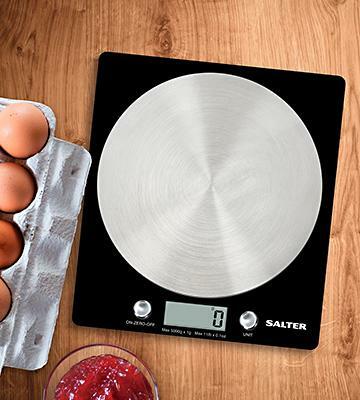 The Salter Disc electronic food scale makes preparing your pastry as easy and comfortable as possible. 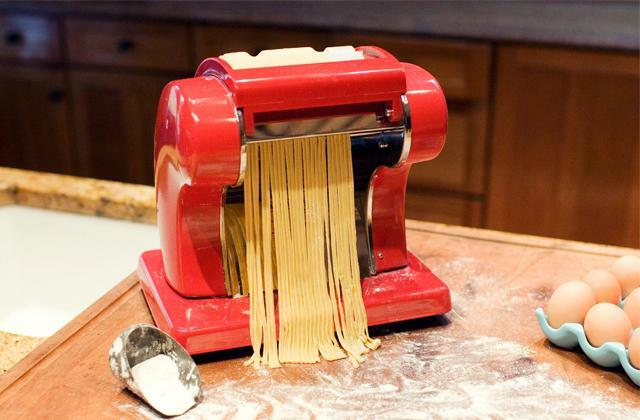 It is the perfect choice for those who adore freshly baked bread or other delicious homemade meals. 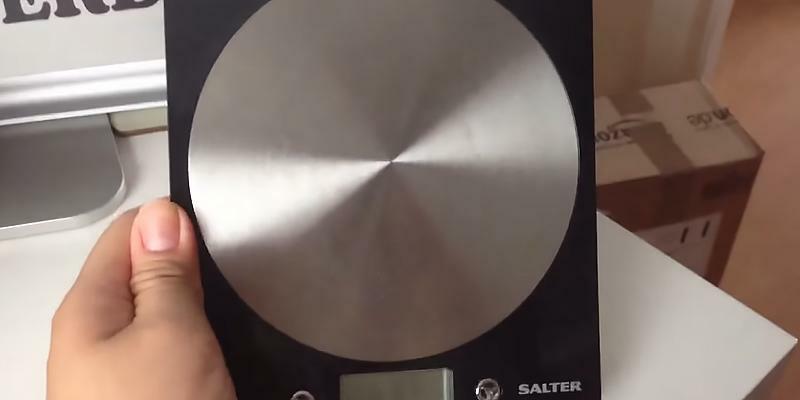 Due to its flat design, the Salter Disc cooking scale is powered by a CR2032 flat battery. It is advisable to keep an extra one in store. In this case, a battery won't catch you unawares when it runs out. However, the manufacturer gains the maximum energy efficiency using an LCD with no backlit so the battery lasts for a long time. At the same time, the display is rather large and it is easy to read the measurements. 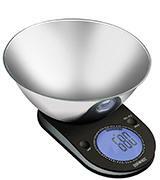 With this Salter Disc kitchen scale, it is easy to weigh all kinds of foodstuff using a variety of cups and bowls for the most efficient and comfortable cooking. Thanks to a "zero" function you can measure several ingredients in one bowl. A hygienic stainless steel platform is easy to clean. An Aquatronic™ function allows measuring liquids. You can choose either metric or imperial system for weighing on this wonderful digital kitchen scale. 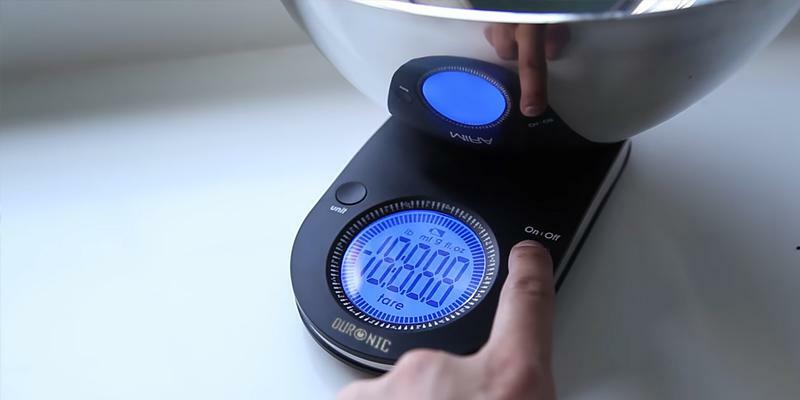 This electronic food scale has a portable design. 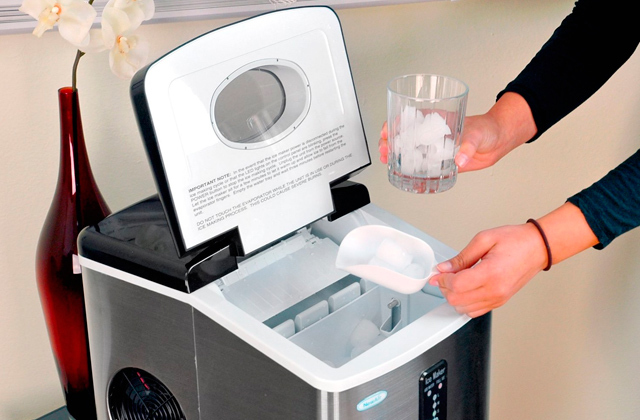 However, this small and stylishly designed appliance has a wide capacity range (from 0.1 oz up to 11 lbs). Thanks to the gradation of 0.1 oz you can weigh light products with minimal inaccuracy. In addition, the Ozeri Touch has a quick response time. To sum up, this wonderful digital cooking scale is the best choice for those who appreciate convenience and precision while cooking delicacies. 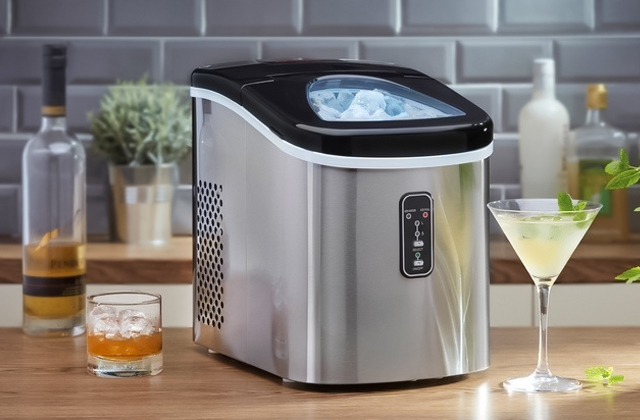 It is a decent appliance for the best-known restaurant's chefs! The Ozeri Touch ZK13 is powered by 2x CR2032 CR 2032 lithium batteries. It is easy to replace them with new ones, just open a battery compartment cover at the cooking scale bottom (no tools required). 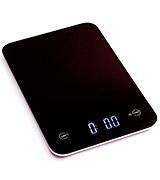 The manufacturer has provided an auto-off feature that ensures a long battery life of this ergonomic digital food scale. This energy-efficient device will shut down automatically if not used for more than one minute. One of the advantages of this electronic food scale is its durability. Its platform is made of lasting tempered glass that is 4 times stronger compared to standard glass. The manufacturer has provided this kitchen set with 4 new high precision GFX sensors which ensure most accurate measurements. It is easy to control this appliance with two sensor buttons on the front panel. Please note that it is not recommended to touch the sensor buttons with wet hands. 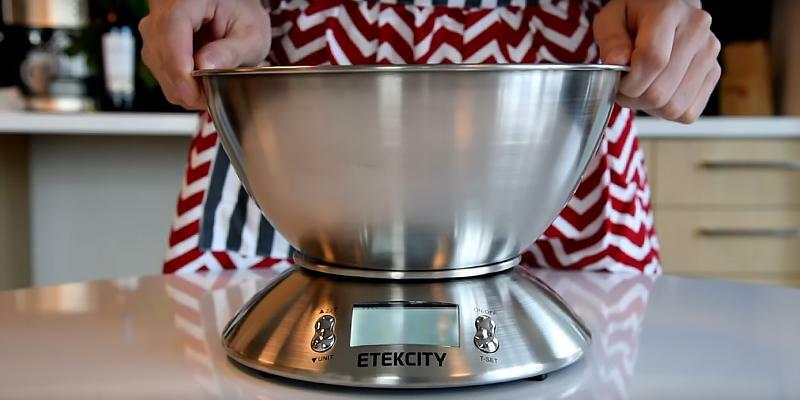 If you decide to buy this Etekcity Digital Stainless Steel Kitchen and Food Scale, you get a really helpful kitchen appliance since it can weigh any food with the highest accuracy. 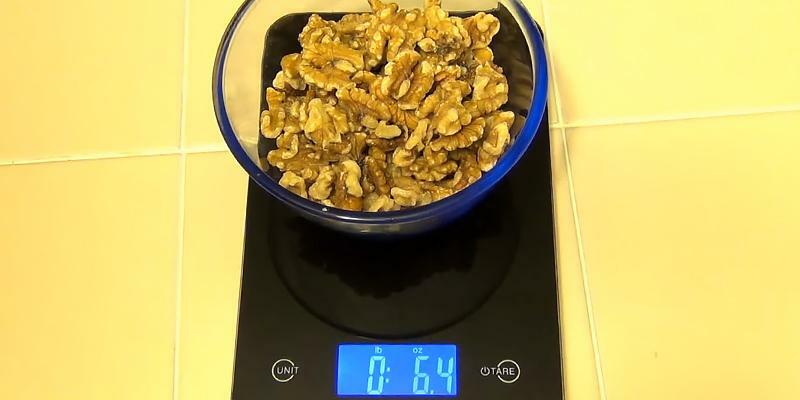 An important point is that this scale has 0.5 oz. (1G) graduation that will help you weigh each ingredient for your culinary chef-d’oeuvre. Moreover, the maximum weight this scale supports is 11 pounds. Concerning the supported units of measurement, the scale has an LCD display for clear readout of kg (g), lb (oz) and °F. This digital scale is powered by 2x AAA batteries that come with the item. 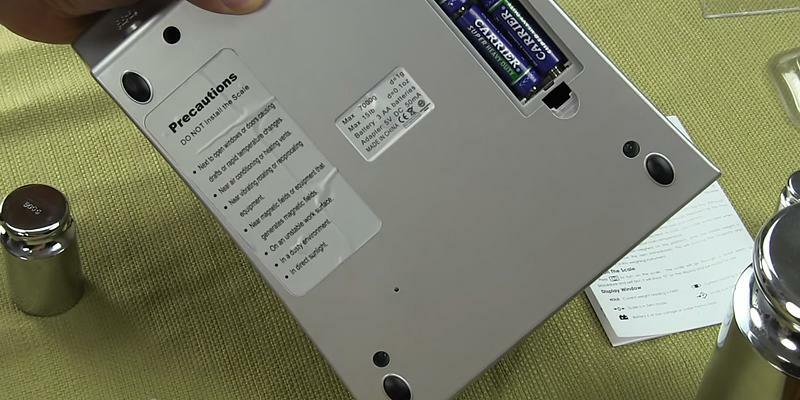 Replacing the batteries is easy and fast. Furthermore, this best scale shuts off automatically in order to save battery life and ensure the reliability of the device. If you use kitchen scales on a regular basis, we do recommend you to have a spare set of batteries at hand to be able to replace them quickly. Otherwise, they may run low at the wrong time. 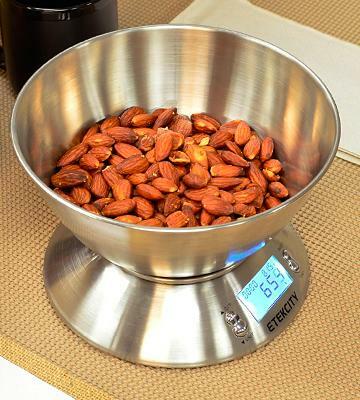 This kitchen scale is a perfect gift both for a homemaker and a professional chef. The main benefit of this kitchen scale is the material. 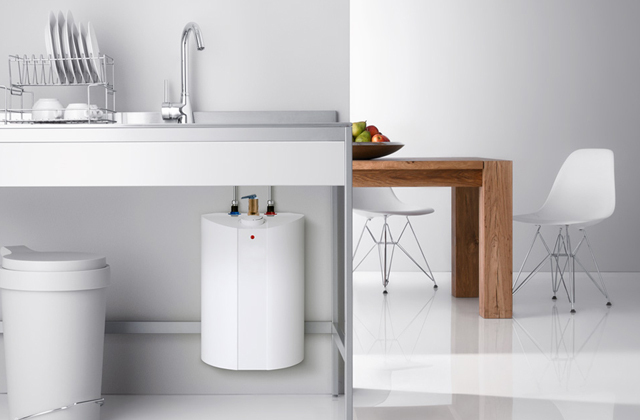 The appliance is made of stainless steel, which ensures the durability of the device. 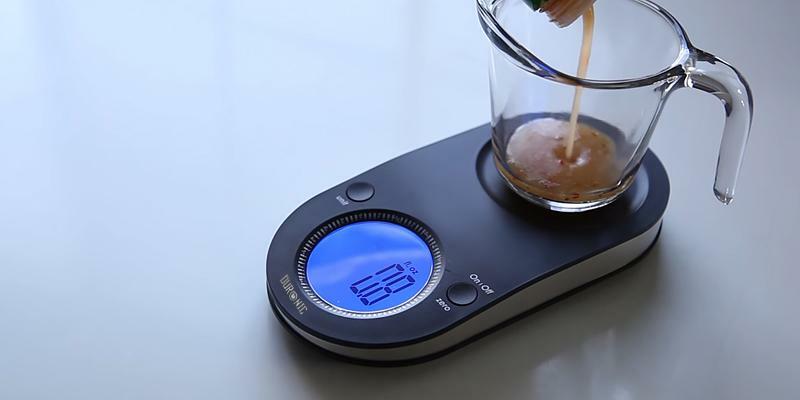 Furthermore, on purchasing this item, you’ll get not only the scale but also a measuring cup, thanks to which you’ll be able to weigh liquids and mix different ingredients. 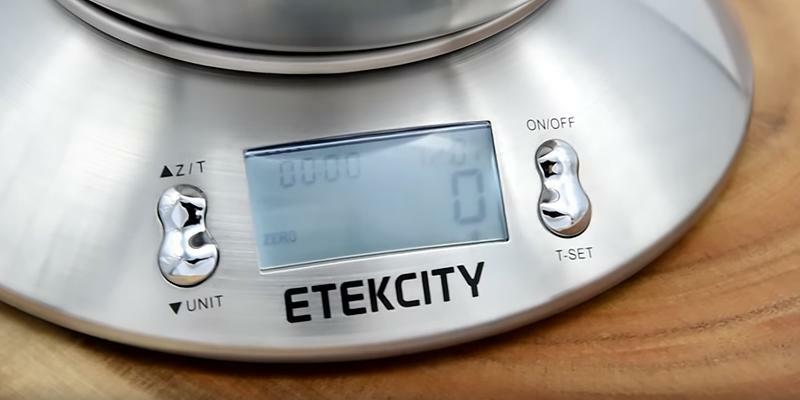 Moreover, the Etekcity Digital Stainless Steel Kitchen and Food Scale has a heat sensor and a built-in timer, so you can take a total control over the cooking process. In our kitchen scales review, we will compare five devices which can be a great addition to your kitchen. 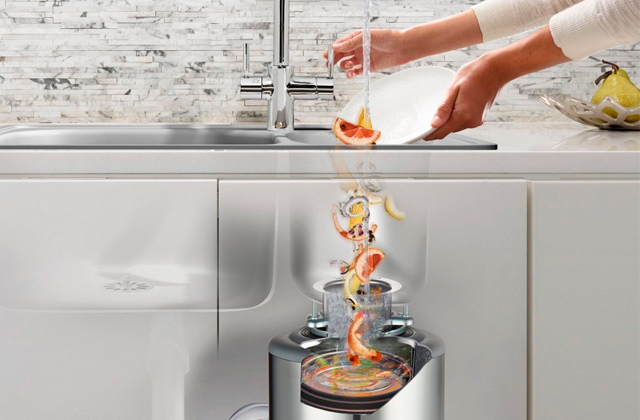 If you think that this is unnecessary thing and you can cook tasty dishes ‘rule of thumb’, please, look what benefits this kitchen set can bring into your life. Especially when you are cooking sophisticated dishes, baking or making some sauce - kitchen scales will help you keep up the accuracy of a recipe, ensuring predictable results. Therefore, if you still measure bulk products by glass, you surely need to buy cooking scales and make all measurements in a simpler way! You may also take full advantage of using slow cookers and rice cookers that will help you cook delicious dishes. The most important thing about kitchen and food scales is Weighing Capacity Range. 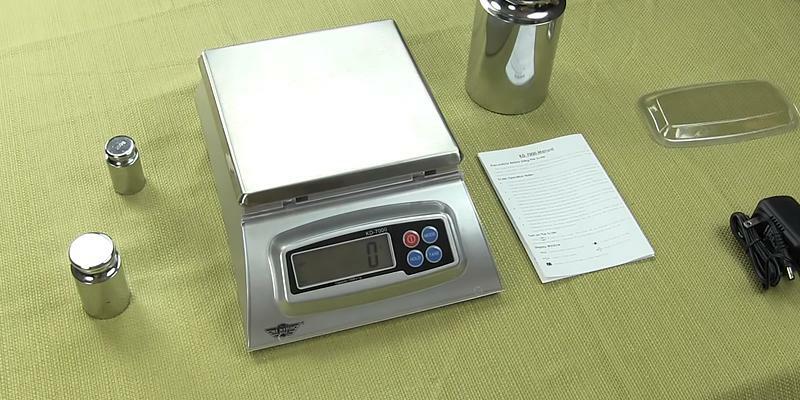 The weighing capacity range is measured by the maximum weight on scales and varies between 0.05 oz. 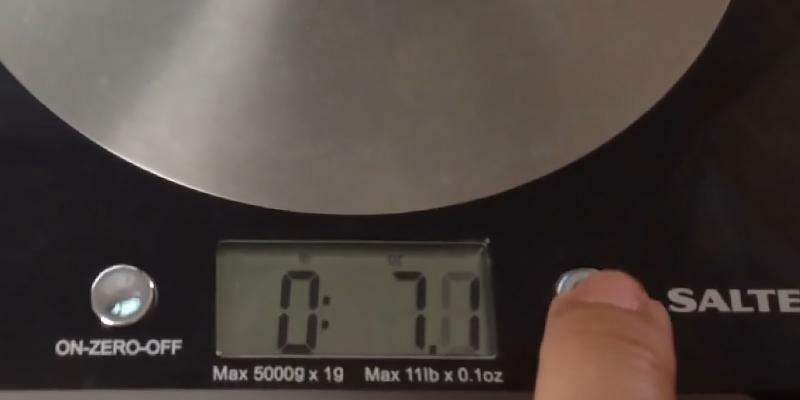 to 20 lbs. To make the right choice, you need to decide on a purpose you'd like to use this device for. For example, if you plan to can food for winter, you should definitely consider buying scales with a weighing capacity about 12 lbs. However, if your needs are rather scarce, using a smaller unit would be well enough. Another important thing to consider is the minimal weighing capacity range (or graduation). When it comes to measurement accuracy, kitchen scales with the smallest weighing capacity are more precise and accurate. Decide on a type of scales you'd like to use - electronic or mechanical. Fairly speaking, mechanical kitchen scales are not as precise as electronic analogues, and hence, they are mostly used for large weights. On the contrary, electronic devices are capable of measuring really small portions, but may show poor performance when being used for weighing heavy food. Mechanical scales don't need any Power Source while electronic devices often require a battery change. Extras can make any simple unit truly special and unique. Compare design and additional functionality, provided by different manufacturers. Today, you can find food scales with a percentage function (an incredibly useful feature when working with dough or hand-made things like soap, candles, etc.). Others come packed with a calorie manual, offering people who follow a diet a step-by-step food calories guideline. The design is also different. Opt for a set which is made of a sturdier material and it will serve you in a long run. We've compared some of the most popular kitchen scales of different sizes, colours and styles to blend with any kitchen interior. Make your choice! 1. 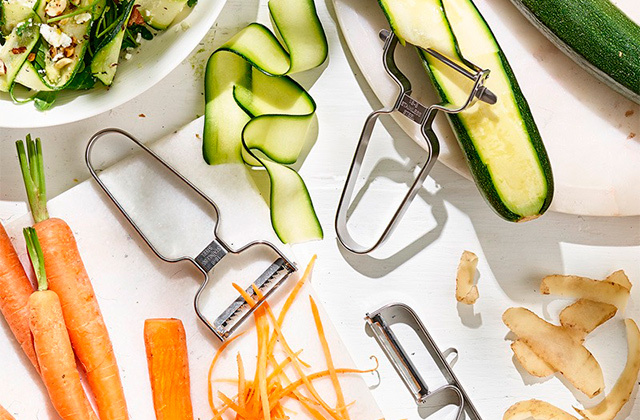 Margot Carmichael Lester Chefs Weigh in on How to Choose Kitchen Scales, Staples. 2. Chris Barnes Want to find a pair of scales that's really worth the weight? Choice. March 13, 2014. 3. How to Choose the Right Digital Scale for Your Needs, eBay. March 3, 2016. 4. Weighing scale, Wikipedia. November 19, 2016. 5. The Basics of Weighing Ingredients, Brown Eyed Baker. January 8, 2014.